World Action on Salt and Health celebrated its 7th World Salt Awareness week focussing on the need for better nutrition labelling. 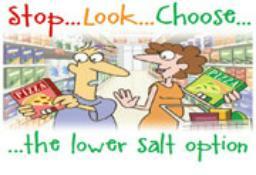 The theme aimed to show that there are options for consumers that want ‘less salt, please!’, and to make it easier to choose them. Over 30 countries took part, including Australia, Lebanon, Pakistan, Poland, Iran, the Pan American Health Organisation, Italy and the Netherlands.